Colonel Sir Thomas Bradford D.S.O. D.L. D.C.L. Tommie was the only brother to survive the First World War. He lived in his beloved county of Durham where over many years he contributed a lifetime of public service which was recognized by the bestowal of a knighthood in 1939, the position of Deputy Lieutenant of the county to Lord Londonderry, and the conferring of an honorary doctorate (Doctor of Civil Law) by the University of Durham. He was also High Sheriff of the County of Durham in 1942 and was Honorary Treasurer of Durham University. Tommie was born in 1886 at Witton Park County Durham, the eldest of 5 children, and died in 1966 at the age of 80. He and his brothers grew up with a great love of sports. No vision of double firsts at Oxford or Cambridge floated before their eyes; W.G. Grace was a greater hero to them than any scholar dead or living! The sound of a ball against a bat was to them the sweetest of all sounds. And to hit a half-volley plumb in the middle of the bat was the most delightful of all sensations. Tommie Bradford played as a forward in the Durham County Rugby XV between 1911 and 1913. In Cricket he played regularly for Chester-le-Street and also played for the Durham County XI from 1909 to 1914, sometimes captaining the team during part of that period. He made a century on various occasions for the Durham County XI, and it is said that even when he became captain of the side he didn't let his responsibilities as captain interfere with the power and frequency with which he hit the ball! Perhaps the performance which is best to remember is one that stands to his credit in a Durham Senior League match against Philadelphia in 1909. In that match Tommie Bradford made 207 Not Out in 90 minutes (yes that's right! Ninety minutes) which someone has remarked would have been a feat of which even G.L. Jessop himself might be reasonably proud. At that time it was said that should the opportunity have come Tommie Bradford's way there could have been little doubt he could have made a name for himself as a first-class cricketer. 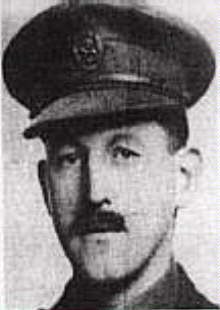 Captain Thomas Bradford commanded "D" Company of 8th Battalion D.L.I., which had its headquarters at Birtley, near Chester-le-Street. During the July of 1914 the Battalion had been at Conway in north Wales on its annual camp. But on August 3rd the Battalion was recalled to Durham with other Battalions of the Durham Brigade of the Northumbrian Division. War was declared on August 4th and already on the following day the 8th Battalion was mobilised for home defence duties in the Monkwearmouth area, and specifically detailed for coastal defence duties. The 8th Battalion manned the coast from the pier, north of the River Wear at Roker all the way to Whitburn Gas Works. Captain Bradford's company held the area from Seaside Lane to the Gas Works. 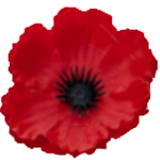 The company spent its time digging and manning trenches until relieved by men of the Cheshire Regiment, at which time they dug and manned more trenches in the Cleadon and East Bolden area till being marched to Gateshead and billeted in some of the local schools and halls. Only three days later they were moved yet again to a large tented camp in the grounds of Ravensworth Castle. During this time they were undergoing training to increase their physical fitness through route marches up Lobley Hill and Chowdene Bank. The various companies were firing their weapons on the ranges in that area and taking part in manoeuvres on the moorlands above Lanchester. 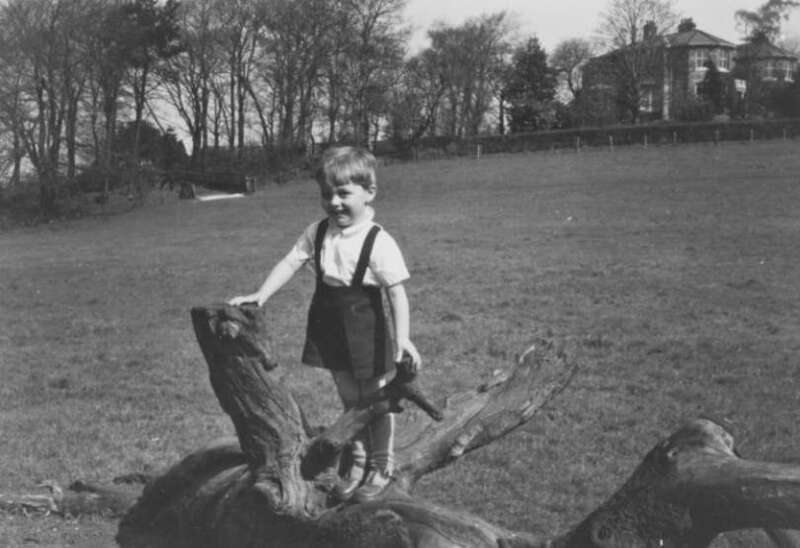 Thomas loved these healthy activities up on the moors and he retained a special love for the moors throughout his whole life, long after the horrors of the war were over. I can see him in my mind's eye to this day, a striking figure of a man, striding through the heather in his Donegal tweeds, relishing every moment of the views, savouring the moorland smells, delighting in the sounds of the birds and the sight of the clouds scudding across the open sky. But back then, in 1914, he was driving his men to reach new peaks of physical fitness, making them ready for the challenges ahead of them in France and Belgium. On 19th April 1915 Tommie Bradford went out to France with the 8th Battalion D.L.I. They left from Newcastle Central Station after an enthusiatic send-off by large crowds of relatives and local dignitaries and with the regimental band playing as people cheered and cried. The military historian Harry Moses has described how by the morning of April 20th the 8th Battalion D.L.I. had already arrived at Boulogne and moved into the tented St Martin's Camp at Ostrovhe. They eventually reached St Marie Cappelle near Cassel where they were all billeted in houses or barns around the village. By the end of that first week they had been moved up close to the front line and were coming into contact with the war's first victims of chlorine gas attacks. These had taken place on the afternoon of the beautiful Spring Day of April 22nd 1915. There had been a gentle breeze wafting from the German lines towards the trenches held by the French and the Canadians and around 5 p.m. there was a heavy German bombardment of Ypres and the northern area of the Salient. Very soon after this there were two greenish-yellow clouds appearing from the German lines on both sides of the village of Langemarck. Two French Divisions and the left of the Canadian lines bore the brunt of the gas. It was the first occasion of chlorine gas being used in warfare. The men were wholly unprepared, knew nothing in advance of its effects and were completely without protection of any kind. As men choked and collapsed, an enormous gap opened up in the allied lines through which the German infantry advanced. Harry Moses explains that it was only thanks to the tremendous courage and fighting qualities of the allied troops (particularly the Canadians) and the fortunate caution of the advancing German troops, that total disaster was averted. The Second Battle of Ypres was to be "one of the finest soldier battles in history". Units were flung into the battle in an attempt to seal up gaps as and when they occurred. Junior officers and men fought where they stood, and died attempting to prevent the German breakthrough. Thomas Bradford's company was, along with those of the rest of the Northumbrian Division, flung into this battle, and he and his men led the companies of the 8th Battalion D.L.I. into its first action of the war immediately after arriving in France. It was on the morning of St George's Day, April 23rd, the 8th Battalion were told to be ready to move at a moment's notice. By 5 p.m. that same day Tommie Bradford's "D" company, and the rest of the Battalion as well, was setting off for the French/Belgian frontier at Abeele and then beyond the frontier to Vlamertinghe. The Battalion then marched through the deserted and blasted streets of Ypres, on to Potijze and Verlornhoek and then took up positions on both sides of the road to Zonnebeke. During the early hours of Sunday April 25th Captain Tommie Bradford led the Battalion with "D" Company closely followed by Captain Frank Harvey with "A" Company. They left the rest of the Battalion at Boetleer Farm. But even before they had reached the farm and the trenches beyond it they had been surprised at finding so many dead lying everywhere, with many of the bodies half stripped of their clothes and with the distinctive smell of chlorine hanging in the air. The account of events has been told by historian Harry Moses who shows us that "the two companies held an extremely dangerous outpost position isolated from the rest of the Battalion back at Boetleer Farm. It was a situation which called upon all the aggression, enthusiasm, drive and leadership which Thomas Bradford had displayed so often on the playing field and had been instilled into him for most of his life. His large, stolid frame, conspicuous throughout the day as he moved amongst his men, was a source of strength to many. The situation was made much more desperate by the inexperience of the officers and men as they faced an enemy whose strength and ruthlessness were most obvious. They faced their ordeal with an enthusiasm which only their ignorance of what was to come allowed them to have. Six hundred yards beyond the farm they reached a trench held by the Canadians. Tommie Bradford with "D" Company moved some 200 yards along the Canadians' trench till they came to a flooded communication trench. They moved on through the communication trench for another 200 yards till they reached a second Canadian trench. It had previously been a French trench and there were the bodies of French Colonial soldiers buried in and around it. The bodies had received such a shallow burial that during the day the exploding shells were exposing the buried bodies. The Germans were holding trenches about 150 - 200 yards further on. The two companies of the Durham Light Infantry had arrived! They were relieving the Canadians and were in a dangerous position, exposed on three sides to superior numbers of German troops and to the overwhelming firepower of enemy guns of many calibres. It was not long before a German observation plane started making many passes over the DLI trenches. On one of its runs it was seen to be dropping some glittering material just over the DLI trenches. The reason for this 'drop' was not understood until a few moments later there began a heavy and continuous barrage of shells from the German heavy guns which rained death and destruction down upon the inexperienced young soldiers of the DLI, who tragically were without steel helmets and without machine guns. The DLI did have some gunners and some belts of ammunition, but even they were useless because the ammunition was of a different calibre to the machine guns left behind by the Canadians. The British Artillery was all but non-existent and there were no machine guns. The DLI had nothing but their rifles, although fortunately some Canadians had volunteered to stay on in order to provide some urgently needed machine gun support for the two DLI Companies. There was total chaos and destruction everywhere. The noise was deafening. The rapidly diminishing numbers of officers and N.C.Os were for the most part unable to make themselves heard above the ear-splitting explosions and the shrieks of the men being blown apart. The trenches had good breastwork but no parados behind them for protection. In fact the truth was that the position was a hopeless one to defend, and the replaced Canadians were not slow to point this fact out to the DLI replacing them. It has been said that "All they could do was to curse, cry and pray", and await the German infantry attack which they knew must follow. Harry Moses, the military historian, has written that "this was the day, the moment, when Thomas Bradford was to be truly tested as a leader of men, the ultimate test. Whilst chaos reigned all about him, everything he did, every word he spoke, every command he gave, every movement of his face and eyes, [all of it was] scrutinised by his men as they looked to him to hold them together. Had he shown weakness, fear, uncertainty, disaster would have been complete. He was everywhere rallying his men, encouraging, rapping out precise orders, showing a complete disregard for his own safety as he fought to bring order out of confusion. He rallied the survivors and when the German attack came in it was beaten off. This unsuccessful attack was followed by another enormous barrage of high explosive shells, mixed with shrapnel, as the enemy sought to blast the company out of its positions. By early afternoon, Captain Bradford was becoming increasingly concerned about his open left flank. Comments were passed that many of the enemy were dressed in blue uniforms instead of the expected German field grey. Captain McLeod, a Canadian officer who had stayed behind to help the Durham's 'settle in' confirmed that the enemy were in fact German Marines. Enfilade fire was coming into the positions from that direction of the left flank. Runners were sent to try to contact Battalion headquarters at Boetleer Farm, but if they got through no message of support was forthcoming. Bradford ordered Lieutenant Wilson to take a party of men and extend his left flank to meet the threat. Wilson and his men took up positions in a field of mustard but were unable to dig in before the enemy guns located them and inflicted heavy losses on the party. Wilson was wounded and many of his men were killed. The Germans made another determined attack and yet again were driven off by rapid rifle fire which exacted a heavy toll on the enemy infantry. These successes raised the spirits of the "D" Company survivors but they must have been quickly lowered by what happened next. Some two miles away three trains drew up on the Ypres-Standen railway, full of German infantry. These forces detrained, formed up and moved towards the Durhams' positions. The Germans attacked once again with their vastly superior forces, but again were driven off with heavy loss. As each attack was driven off the company positions were saturated with heavy enemy artillery fire and many of those who had survived so far became casualties. It was now late afternoon and the situation was becoming desperate. Bradford had lost almost all of his officers and most of his N.C.O's. His company was down to about 30 fit men out of an original total of about 200. The Germans were actively working around his left flank. Both "D" and "A" Companies - the latter was also under heavy enemy attack and had suffered considerable casualties - had contracted their positions to make defence more manageable with the small number of men available. Ammunition was low. The men were desperately tired. The German guns continued their remorseless hammering of what breastworks remained and casualties continued to rise. About 5 p.m., another German attack was driven off, but it was now clear that a decision would have to be made about retirement. The prospects for getting away were extremely slim. The fields leading back to Boetleer Farm were wide open, completely devoid of cover, and swept by enemy artillery and machine guns. Yet there was no other way out. Bradford and his men, along with those of "A" Company, had done far more than could have been asked of them. At 5.30 p.m. the one remaining machine gun ran out of ammunition. There was now very little left to fight with other than the bayonet and bare hands. The numbers left to fight were pitifully small. Bradford was the last to leave his position. He worked his way to the rear through shell and machine gun fire, searching for Battalion headquarters. He lost his way and found himself with the 2nd Battalion, Northumberland Fusiliers of the 28th Division. He had been slightly wounded in the hand. Of the fine company he had commanded when he left England, about two hundred strong, which he had led into the breastworks early on that same morning of April 25th 1915, he had lost 7 officers and 173 N.C.O's and men, killed, wounded or missing. They were men he had known and commanded for two years. Every one of them he knew by sight and by name and he had a deep sense of responsibility for their welfare and safety. It is not difficult to imagine his feelings as he left so many of them behind amongst the shambles of breastworks they had manned only a short time ago. He moved back to where he thought the Battalion might be concentrated when relieved. He reached Vlamertinghe the following day, April 26th. Here he was joined by a small number of stragglers who came in over the next few hours. These numbers increased and included members of other companies of the 8th Battalion. On May 3rd, his young sister's birthday, he rejoined the Battalion with 120, at a rest camp near Brielen. Total Battalion losses had been 19 officers and 574 N.C.O's and men out of the original 800." For those of us who have not been faced by the horror of war it is impossible to imagine the shock and the severe psychological pressure upon men in the front line. One Canadian officer, a Captain Northwood, who had been taken prisoner, told a fellow officer about Bradford's Company which with 'A' Company had relieved his own Canadian Battalion at the front. He said that the attitude and bearing of 'The Durham's' would have been splendid even if they had been seasoned troops, but considering that most of them were boys under fire for the very first time, it was a shame that they should have been expected to relieve part of his Battalion. Tommie Bradford was wounded in the second battle of Ypres, was twice mentioned in Despatches and was awarded the D.S.O. before being promoted to Staff Captain and then to Brigade Major. In 1917 he was given a permanent regular commission in the York and Lancaster Regiment. 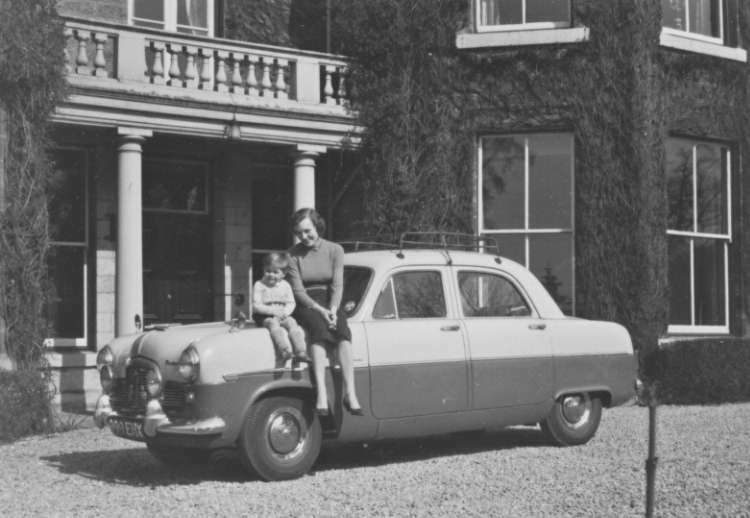 It was at that time that he was sent to Femoy in Ireland as an instructor at the Young Officers Training battalion. One member of the Bradford family has speculated as to whether Thomas' posting to the tranquility of Ireland was a sort of "prequel" of 'Saving Private Ryan'. But such a thing is surely unlikely, partly because such humane considerations were not yet to be found amongst the military High Command, and partly because in 1917 the 3rd of the four Bradford brothers had not yet been killed. Tommie Bradford had many interests. 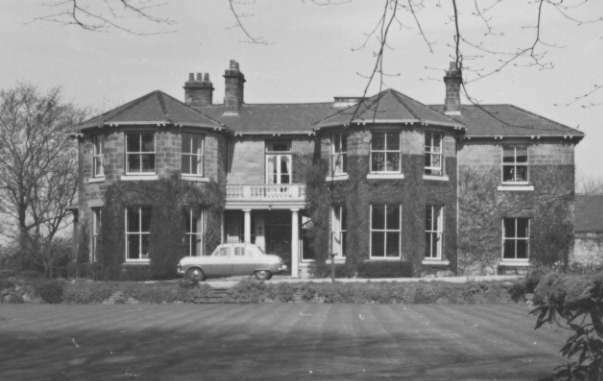 Like his father before him (another George Bradford) he had involvement with coal mining as a Director of a Colliery near Sacriston, not far from his home at 'Aden Cottage' just outside the city of Durham. In 1915 he married Honor Rebe Blackett the only daughter of Col William Blackett CBE DL, who had been in command of the 8th Battalion Durham Light Infantry before and at the outbreak of the war. Thomas and Rebe had one son, George James Roland Bradford, born in 1920 and named in memory of Tommie's 3 brothers killed in the war. Tommie Bradford made what someone described as a "sporting effort" to enter Parliament as a Conservative. In October 1922 he took part in the election at the Seaham Division of Durham, coming 2nd of three candidates, polling 8315 votes. Then again in December 1923 he was the Conservative candidate for the Durham Division of County Durham in which he was defeated by a majority of 3,200. 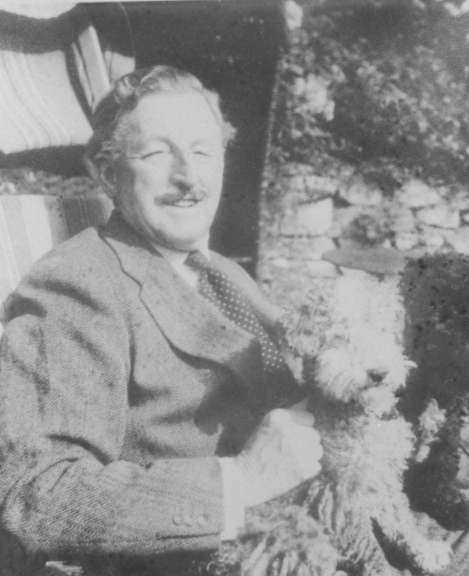 Later in life, after his wife Rebe had died in 1945, he married Kitty Percy from the Northumberland family of the Percy's. 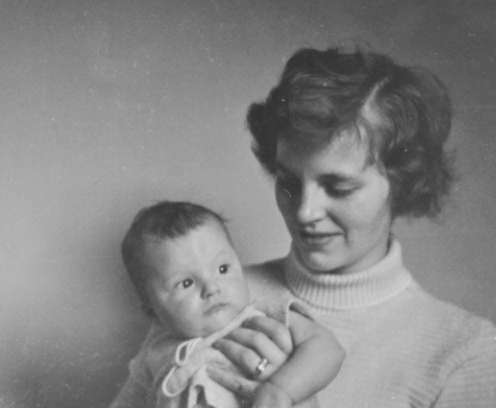 And so Kitty Percy, widow of Brigadier Jocelyn Percy, DSO MC, who had commanded 151 Brigade at the Battle of El Alamein in 1942, became Thomas's new wife, and her two sons Jervis and Richard and one daughter Gill, became his new family at Aden Cottage. Tommie was a great sporting enthusiast. He kept black labrador gundogs in his kennels for use on the Grouse Moors he so loved around Middleton-in-Teesdale, Stanhope and Blanchland, which his sister's family also came to know and love. He was also an enthusiastic fisher of salmon each year in and around Coldstream on the Tweed. As already mentioned, he was a good amateur cricketer, and he was no mean squash player either, entering the amateur squash championship along with his brother-in-law, Leslie Cremer. 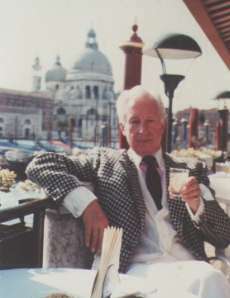 George Bradford photographed in St Mark's Square, Venice. This George Bradford was a man of a very different stamp from his Uncle killed at Zeebrugge. From the outset, at Haileybury and at Christ Church Oxford, he was passionate about the stage. He was President of the Oxford University Dramatic Society, and after leaving University it was not too long before he toured Canada with Sir Donald Wolfit's Shakespearian company. But he was by no means wedded to the Shakespearian aspect of drama, he enjoyed success playing in repertory at The Little Theatre in Nottingham, and there followed numerous parts in a variety of West End productions, along with one or two small film parts. He also played in pantomime and one year was the Dame in the pantomime in Leeds and sometimes gave talks on BBC radio. When he left the stage, he enjoyed a more tranquil life as an antique dealer down at Blackboys in Sussex, and later living just outside Nice in the south of France.